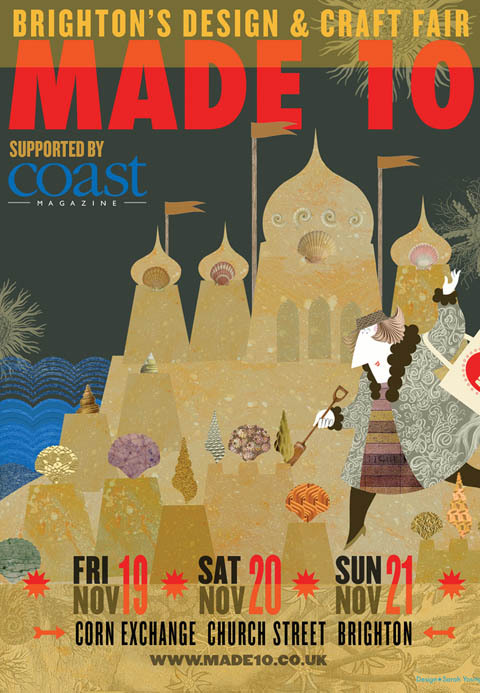 Made 10 was set up by artist and printmaker Sarah Young to provide local and national craftspeople with a chance to sell their work direct to the public and foster relationships with buyers, potential buyers and galleries. Now in its fifth year at the Corn Exchange, Brighton, it will be showcasing work by over 100 contemporary designers and makers across all disciplines, including ceramics, glass, jewellery and textiles. Work is priced between £20 and £1500, so even if, like me, you fall very firmly in to the ‘potential buyer’ category, you should at least find something to tempt you. Entrance £6.00, Under 14s free.